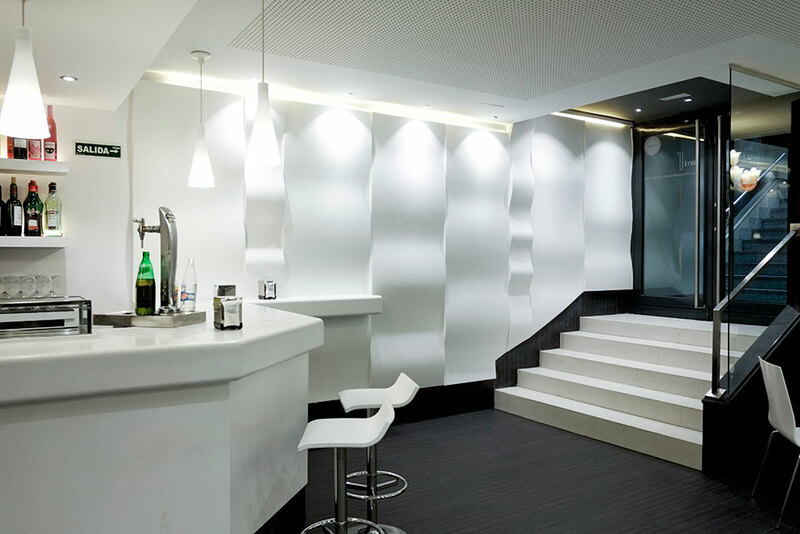 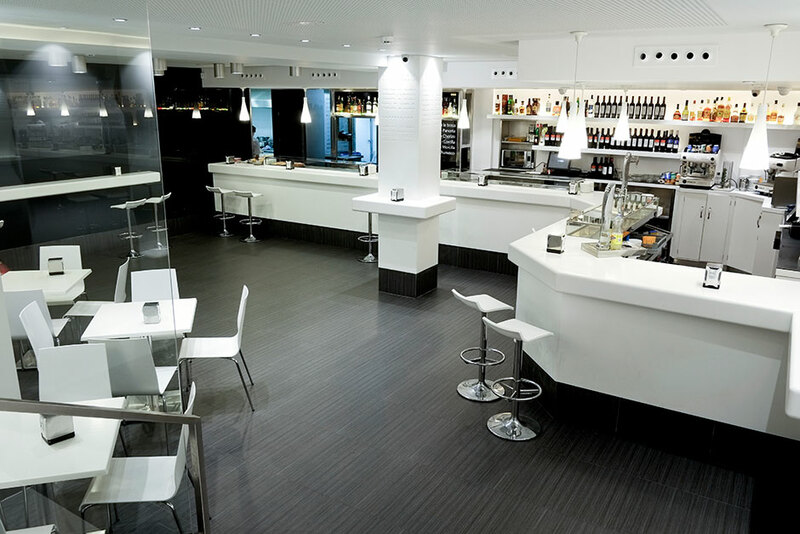 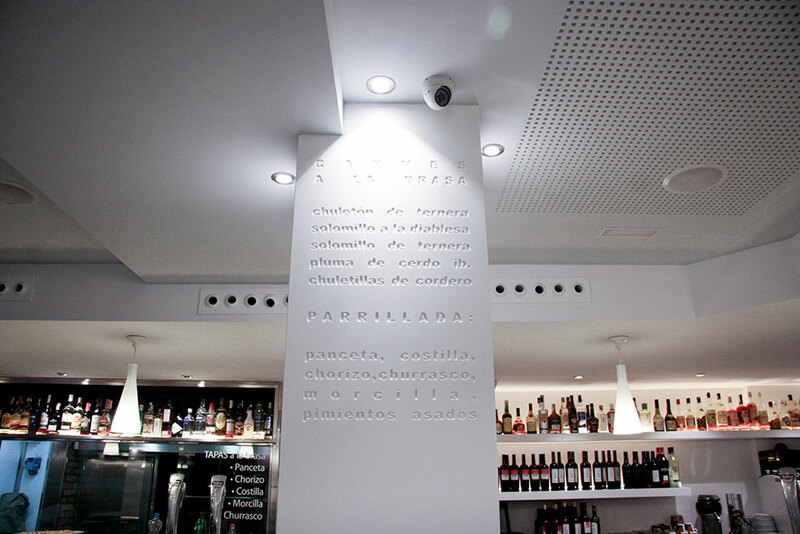 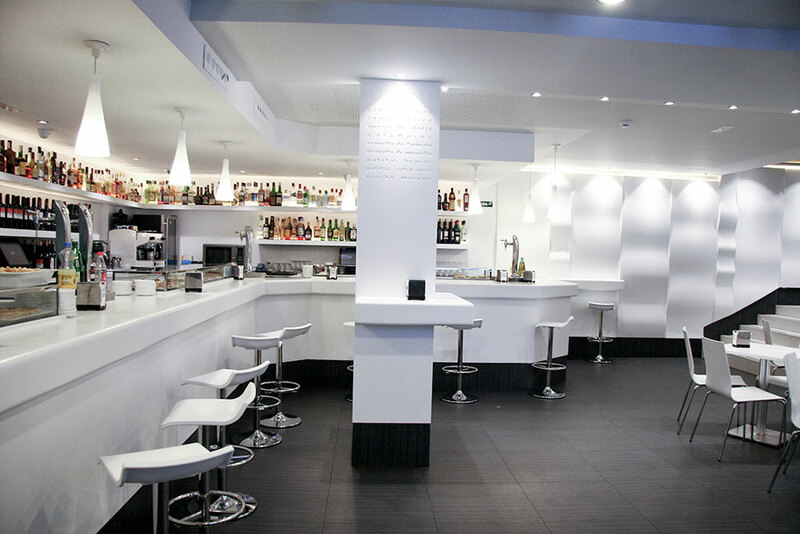 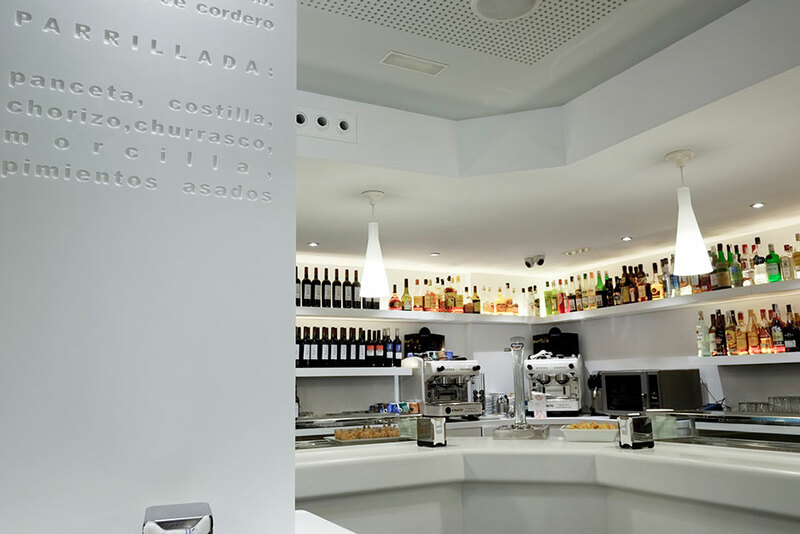 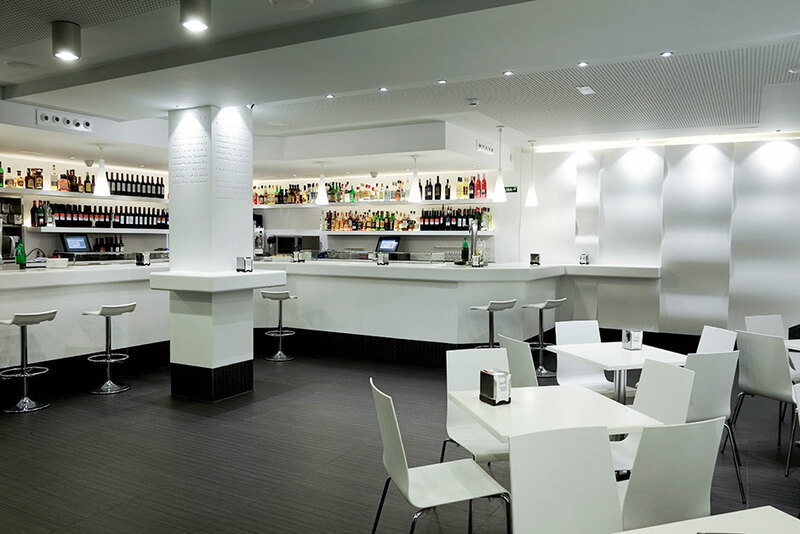 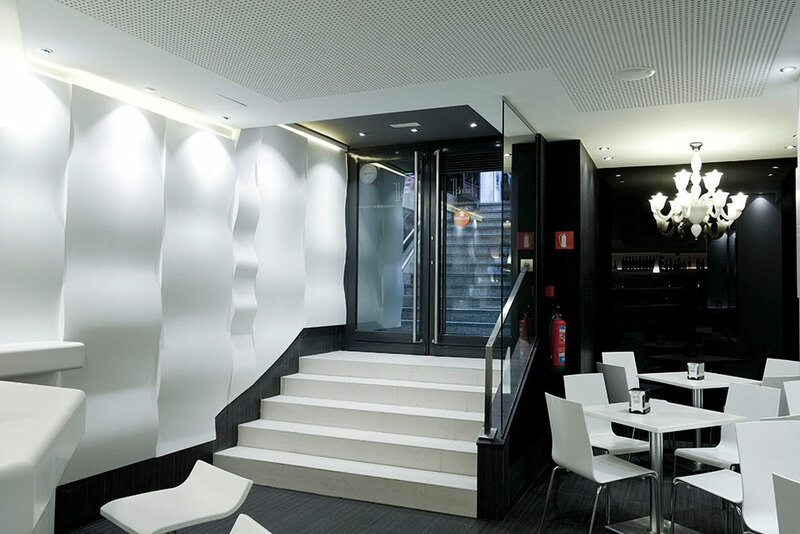 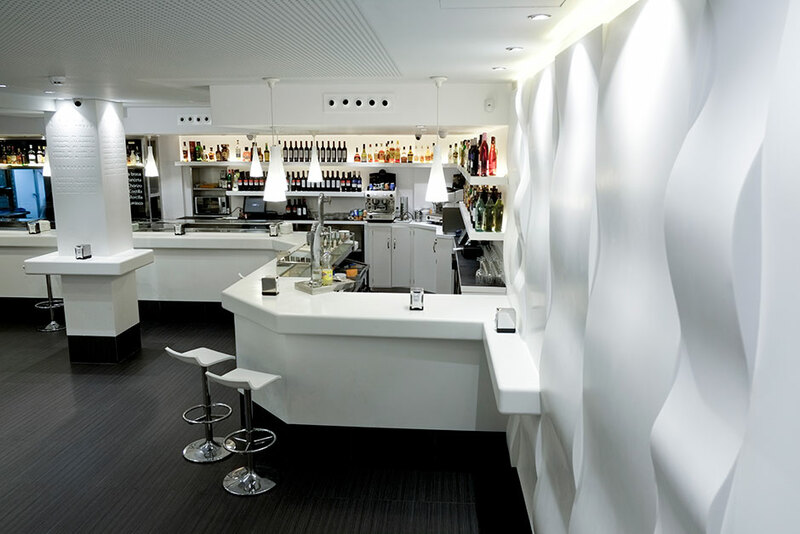 Porcelanosa’s very own solid surface material, KRION® was used in the redesign of Bambu Restaurant located in Spain. 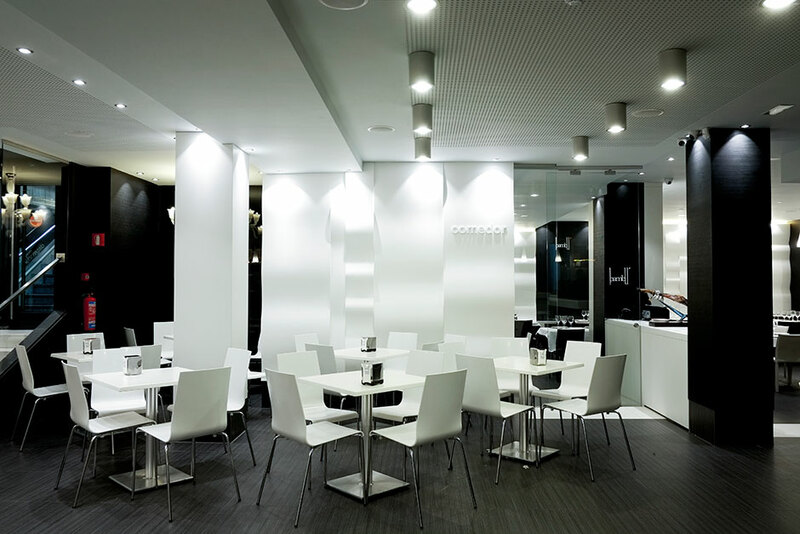 The restaurant is divided into two parts, a restaurant and a cafeteria, catering to all types of customers. 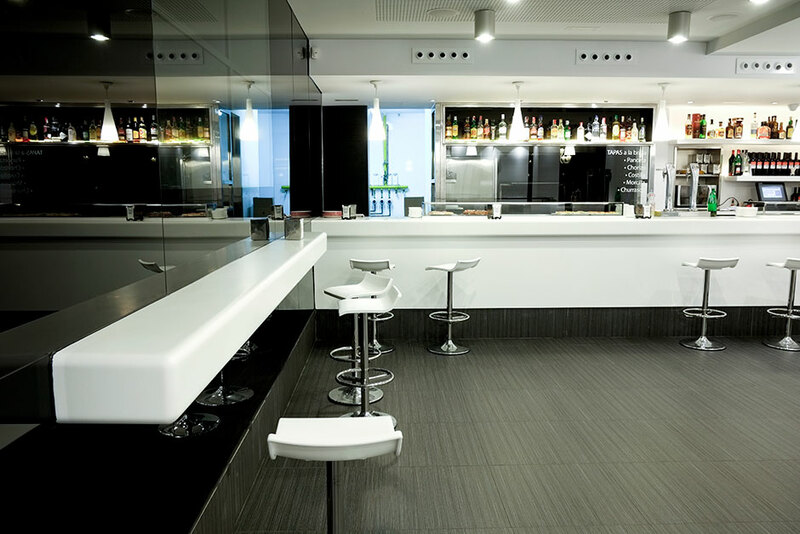 KRION® was used on the wall and countertops providing a seamless, clean, stain resistant and bacteria free surface.